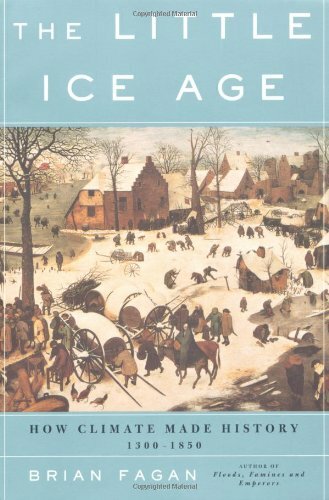 The Little Ice Age was a time of climate related catastrophe on a global scale. The medieval world suffered for 500 years under it. The History Channel tells the story. From 1275 onwards, the middle ages was a time of ever more severe temperature drops. It was to leave millions dead and divert the course of history into what we know today. Cannibalism, witch-hunts and revolutions are just some of the indirect consequences of the climate slipping an average of four degrees. The Viking colony of Greenland collapsed; and a series of social and economic changes altered more established civilizations. 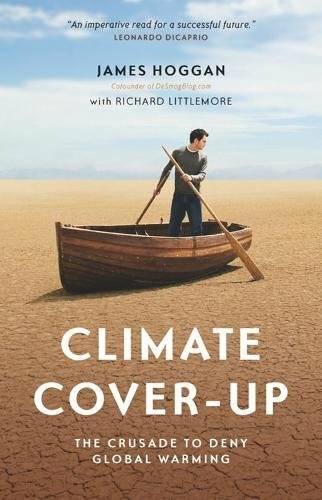 For all its on-going effects, and a tale very pertinent to today's issues of global warming, this is a story which is rarely told. The History Channel sought to rectify that. A movie length documentary about the cataclysmic weather, which rained down upon the Medieval and Post-Medieval world for half a millennium. It's a story about our past, which could also be a forewarning about our future. Scientists even now are still trying to get to the bottom of why it happened at all. In 1275, Atlantic ice packs began to grow. By the 17th century, you could walk from New Jersey to Queens across the frozen Hudson River. It sounds like the stuff of science fiction, but it actually happened. The Little Ice Age reached its zenith between 1645 and 1715, but it had a slow and disastrous growth until then. It wasn't really over until the middle of the Victorian period. The History Channel uses its usual format to tell this tale. Dramatized segments are interlaced with talking heads. Historians, climatologists, archaeologists and physicists vie to add context to the startling facts and reports flooding out from the era. In many ways, it's a scientific documentary, as much as one about the past. While the Little Ice Age might be history, the point is made that it will happen again. Its finale tells us how that might play out in the 21st century. For 100 minutes, the documentary's segments move swiftly from one subject to another. There's little time to get bored, if the current focus isn't pandering to your interests. This was a global situation, lasting over 500 years, so there's much to be said. 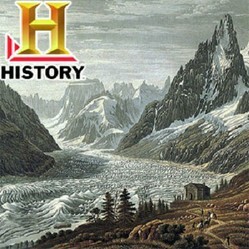 The History Channel does so with stunning cinematography and entertainment in education. But it was a documentary which left me feeling decidedly cold. I love history (and, in other news, water is wet), but I'm also interested in science. It's a case of having to be, when two of my closest friends are a physicist and a biologist respectively. I picked this documentary out precisely because of that delicious mixture of topics. I'm not going to lie, I hated it. That's not to say that it wasn't entertaining. I saw lots of pretty scenery and learned some facts which I hadn't known before. The 'talking head' academics were all fascinating to hear, and the dramatized historical events brought an intimacy to what the narrator was telling us. 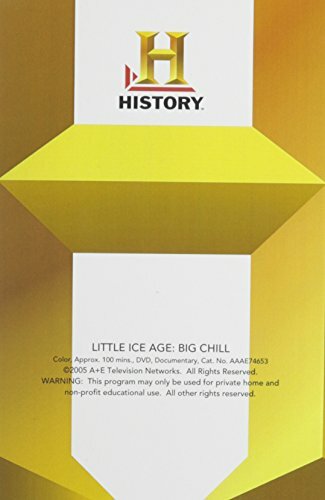 As an overview, it was a fantastic documentary about the Little Ice Age. What increasingly wound me up was the tone of the narrator and the editing. 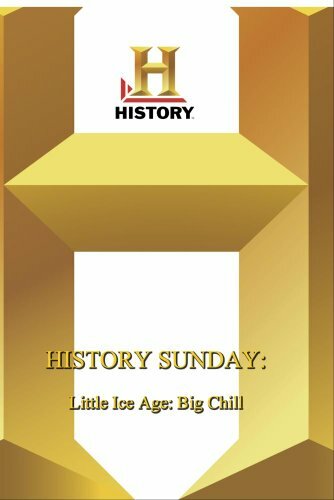 I nearly choked when, looking it up later, I learned that Little Ice Age: Big Chill had been nominated for an Emmy Award in 2006. The category? Outstanding Editing! There seemed neither rhyme nor reason in the chronology. We'd leap from the famines of the 14th century, to the English Frost Fairs of 1607, to the French Revolution, then suddenly off to scientific research in America. On the subject of the Great Famine of 1315, it was illustrated with an artist's representation of the Irish Potato Famine. While the narrator was telling me about 14th century peasants eating their own children, the image was most definitely Victorian Irish crofters trying to save their kids. Maybe the disconnect wouldn't be obvious to anyone who isn't an historian, but it raised my eyebrows. Similarly some stories just seemed left untold. There was a sizable segment discussing the effects of the Little Ice Age on the Norse settlers in Greenland. It was wonderfully done, insofar as it went. But it ended abruptly. One moment we're told that the last recorded Viking history there was a wedding in 1408, then off we are into the modern day with climatologists collecting sediment samples from the ocean bed. So what happened to the Vikings then? Are they still at the wedding? The implication is that they left, because that had been openly stated earlier. But the actual piece didn't end like that. Yet I appear to be in a minority of one with this view. I've hunted through comments on both Amazon and the History Channel itself. Others watching it are uniformly thrilled. Teachers are showing it in classrooms; individuals are snapping it up for the cinematography; and plenty are praising the editing to the hilt. I have to wonder if I watched a different documentary; or if I'm really that out of step with the herd. 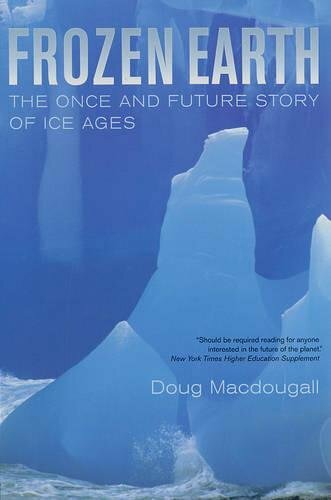 Learn more about the ice ages in general and the Little Ice Age specifically with these studies. The science is all there and substantiated, but it's very obvious that this documentary was made by Christians. It is to be expected that any documentary about the Medieval and Post-Medieval worlds is going to linger upon Christianity. I would be the first to criticize its makers if it didn't. The Church, during this period, was the most important cultural, political and social entity. Religion provided the mindset and context for the population. So yes, lots of Christianity please. It's a vital component of this story. I also loved some of the dramatizations, which enriched the narrative. The documentary actually opens with three French priests walking out into the 18th century Alps. Armed only with holy water, they attempted to repel the encroaching glaciers. Convinced that the ice was possessed by the devil, they performed an exorcism. Contemporary records state that the glaciers actually did slightly recede! I first had my 'oh!... okay' moment when the sweeping story touched briefly upon the witch-hunts. We'd just had a lingering and quite loving look at the beautiful church architecture, which had sprung up in the Warm Period immediately before the Little Ice Age. It was all presented as a glowing light blowing away the chaos of the Dark Ages. Not brilliant history there, but also not quite the story being told. I let that pass. 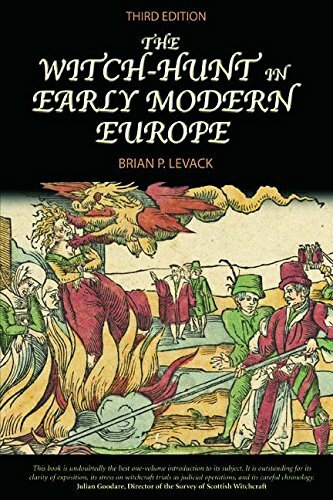 But after devoting a substantial segment to the greatness of Christianity, we got the most fleeting glimpse of sixty-three women being burnt at the stake in 1563. 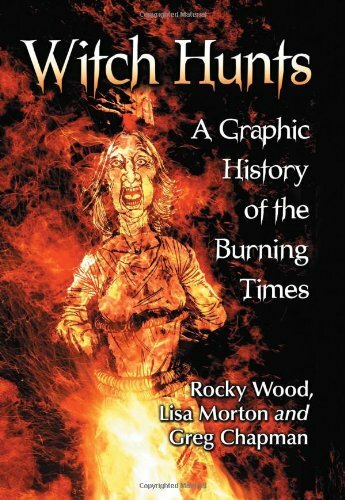 We're told that 50,000 women were killed in all, after Pope Innocent blamed witchcraft for the climate changes. Then we're off onto something else. It was the speed of it which made me frown, not to mention the tone of the narrative. Not only were the figures, mode of execution and gender misleading (those killed were largely women, but a huge percentage were men and children), but there was nothing there to counteract the Medieval message. 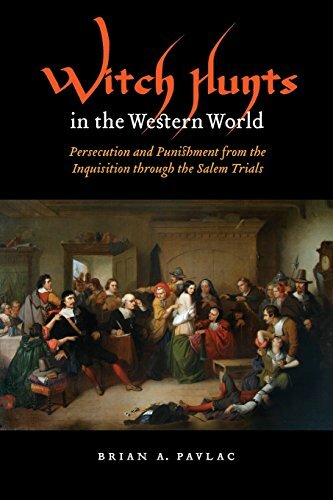 In short, I was left with the impression that the 'witches' really had been to blame. The rest of the documentary didn't bear this out. There were plenty of scientific segments to produce the probable causes. But then it happened again. Under discussion were the Vikings in Greenland. As part of their back story, the narration told us that they 'had begun to reject their Pagan ways and embrace Christianity.' Again all fair enough. That's precisely what happened. Tick. But the word 'Pagan' was spat out with such disdain that I actually blinked. Then rewound it to check that I wasn't being paranoid. All in all, it was really quite strange. It's not often that I complain on Pagan grounds about a history based documentary, but this was actually scathing in its subtle ways. It was actually more like 35,000 people killed, many of them hanged. The Pope needed something to blame for the Little Ice Age, as too many people were pointing at God. The documentary returned time and again to the same scientific theory on what caused the Little Ice Age. I'm not a scientist. I can't claim to effectively judge any major theory as to the causes of the Little Ice Age. But I know very well which one the documentary makers want me to favor. Talking heads proposed various ideas. It could have been that half a percentage drop in radiation from the sun that was the culprit. It may have been the increased number of volcanoes which erupted during the period. It might be a natural cycle, which just happens. Perhaps not coincidentally, the Maunder Minimum dates are perfectly aligned to the worst period of the Little Ice Age. The point was repeatedly made that the scientific community haven't yet got the definitive answer, but they're working on it. However, there was one theory which wasn't just a talking head. The thermohaline circulation explanation was repeated three times, each with a computerized graphic to explain it all to laymen viewers. Naturally, it's the one which lodged most firmly in my mind. Also known as the oceanic conveyor belt, this is a naturally occurring phenomenon whereby sea water warmed in the tropics moves north. As it reaches the Arctic, it cools and the current pushes further into the depths. The stream is then conveyed back down into the tropics, where it warms, rises and goes back to the Arctic. The Gulf Stream is just a tiny part of this massive cycle. It's what keeps North America and Western Europe from freezing like Siberia. The theory here is that the Warm Period, right before the Little Ice Age, had melted glaciers so much that fresh water had flooded the stream. Unable to properly cool, the conveyor belt was interrupted. A chain reaction kicked off stopping warm water reaching the north, hence everything got colder. 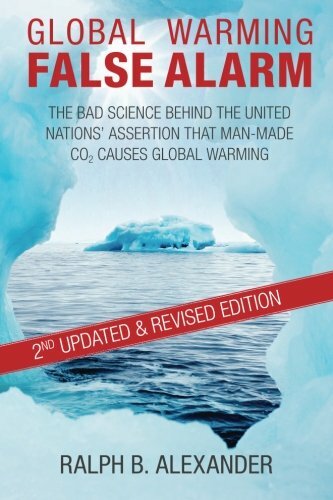 This was then linked with modern global warming and 'the so-called Greenhouse Effect'. 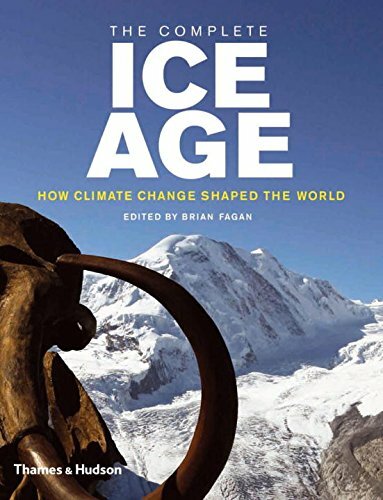 It was stated that the Industrial Revolution, with all its burning of fossil fuels, is what stopped the Little Ice Age. I'm no scientist, but a documentary which informs me that global warming is good sounds suspiciously misleading. The whole thing played out with a catastrophic dramatization of what would happen if we didn't keep on burning fossil fuels. The Little Ice Age would be back with a vengeance. Europe would dissolve into anarchy and wars over ownership of its oil. (What oil? Apart from the North Sea, and some in Scandinavia and Russia, I'm struggling here.) Everyone in South America would rush to be in the United States (but wouldn't it be warmer where they came from?). China would have a civil war, then attack Saudi Arabia after its oil. India and Pakistan would also join in. The USA, China and Pakistan would be forced to use nuclear weapons on each other; and the world would end. So keep on burning fossil fuels, boys and girls! Global warming (if it's happening) is good and we don't want all of the above, do we now? By the closing credits, I'd finally lost faith in the scientific and sociological information too. While all present and correct, it was definitely biased towards certain viewpoints, which felt finally divorced from reality as I understand it. 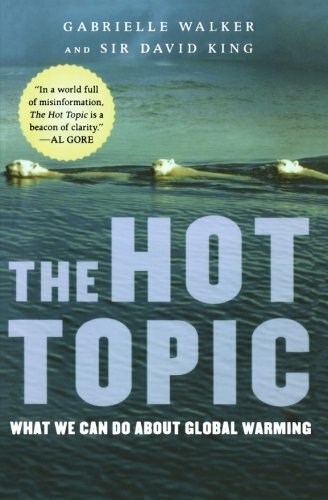 Read these discussions to enter the debate on climate change and its effect on our planet's future. It was entertaining to watch. A bit weird in how it jolted from one subject to the next, and misleading in parts, but still entertaining. I haven't seen it but it sounds creepy!